Nortech has announced an exceptional software upgrade for the Norpass3 (v3.3) that offers a seamless integration with Automatic Number Plate Recognition (ANPR) camera and communication through Wi-Fi. Norpass3 helps to control who has control over each area of a premises. One of the new features of Norpass3 v3.3 upgrade is its integration with ANPR cameras. Previously, users would have to use a separate module to convert number plate code into a number and then manually enter this number into Norpass3. However, now this is done within Norpass3, so there is no need for additional software. Norpass3 converts the number plate into a 26-bit Wiegand card number and creates a corresponding user record. “With the latest communication upgrade, users no longer have to worry about leaving their desks, in fear of losing control over their session because of the weak Wi-Fi network. Norpass3 v3.3 provides robust communication and runs solidly even with weak or unstable Wi-Fi connection”, said Amer Hafiz, Technical Director, Nortech. 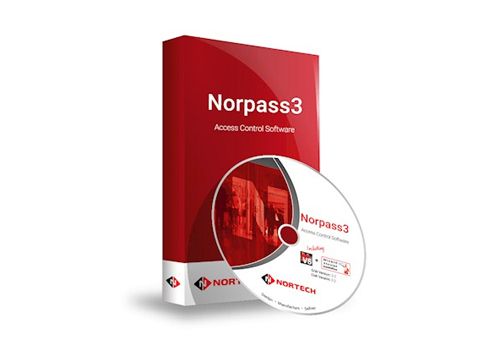 Norpass3 v3.3 is a free access control management software, supporting a range of technologies from biometrics to vehicle identification. Installers who want to download NorPass3 v3.3 can do so from the ‘Downloads’ section of the Nortech website here. Non-registered installers can also contact the company for a free copy of the software on CD.